My staff showed up at work one morning and I spotted him carrying a spanking new iPhone. Then I realised something amiss when I spotted something not right. 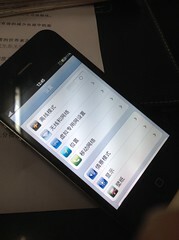 Since when iPhone is dual-sim one? I took the phone over and gave it a closer look. 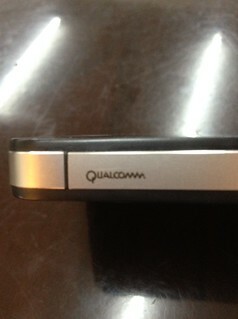 Hmm.... the mute button is missing and there is "Qualcomm" printed on the other edge. 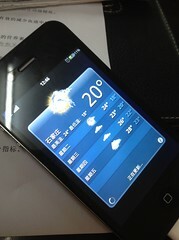 I doubt if this is a Qualcomm phone considering I haven't heard of these guys producing any phones lately. I am guessing perhaps the CPU inside is a Qualcomm? Snapdragon perhaps? 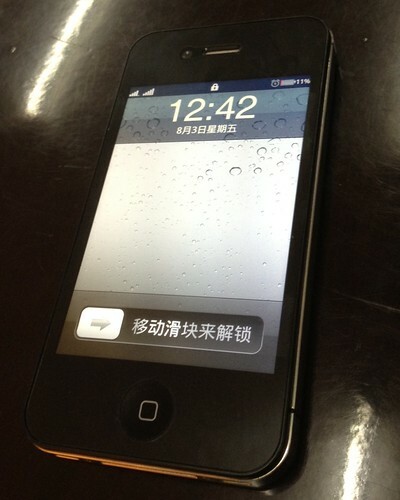 So anyway, at this point Captain Obvious would have pointed out that this is not a iPhone. I continued to play around with it and first stop was to go to the setup page. Ahh... it's an Android. But here's the thing the whole interface is uncanny. Even the software interface look exactly the same! Heck, it even works with the original Apple iPhone cable! 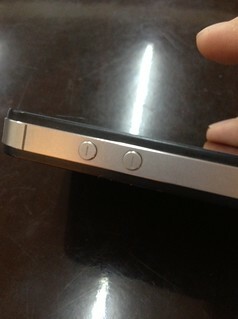 Unlike the iPhone, the back cover of the phone is removable. As you can see, it uses a micro SD card for its internal memory which means that you can have unlimited internal memory as long as you have enough cards to swap it around. 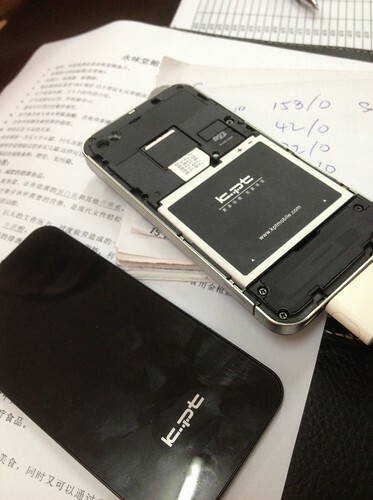 The sim card is regular sim, means that you save the hassle of cutting it down to size. The second sim is directly underneath the first. Lastly, having a removable cover also mean you can have multiple batteries and thereby save the need to charge the phone halfway through the day in the middle of nowhere. 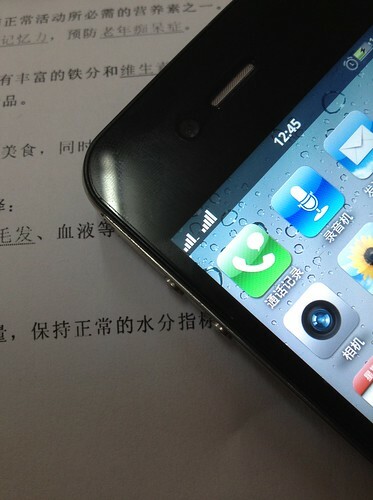 A search on Taobao.com showed that this phone cost RMB 860 which is around SGD 172.00. 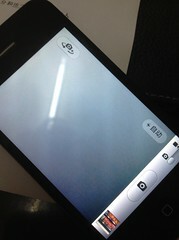 I played with the phone and I feel that the whole interface is very sleek and at that price, it's a steal. p.s. 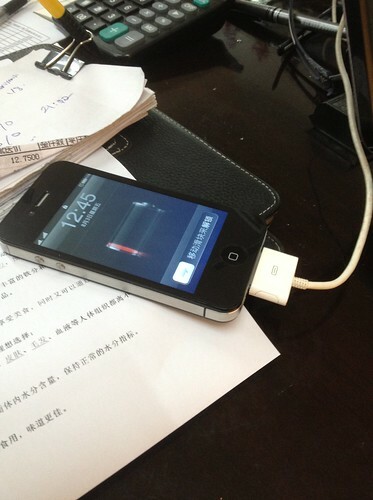 I subsequently saw two more iPhone clones at RMB 300+ and RMB 200+. Those were rough stuff as the onscreen menu is very jerky possibly due to a very weak CPU. 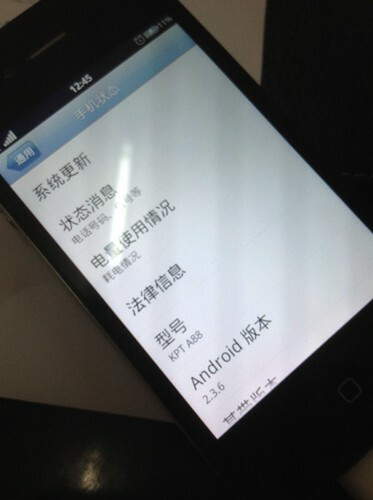 The 300+ phone actually run on iOS while the 200+ version was running only some domestic chupalang OS. The only bright side however their huge-assed 64Gb internal memory.